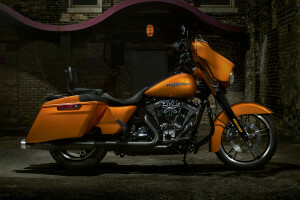 The Street Glide® is your best choice if you’re looking for a bike that’s ready for the long haul. 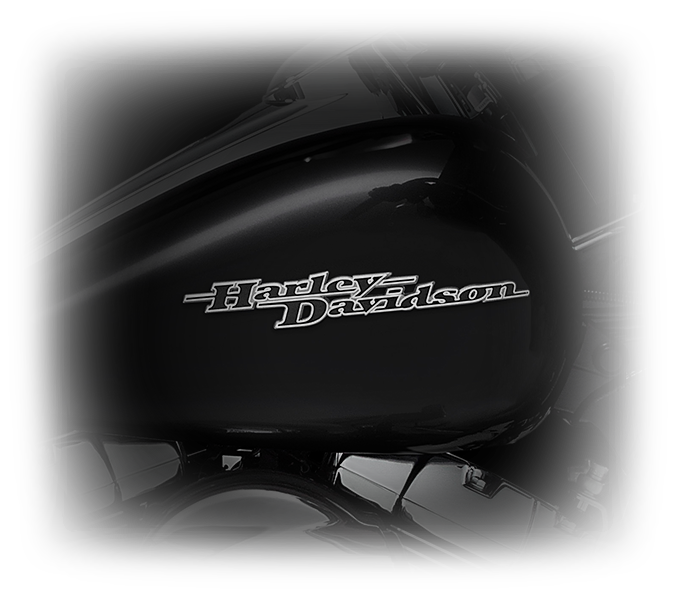 Here at Riverside Harley-Davidson, we’re proud to show you all the Harley-Davidson touring lineup can do. The Street Glide® should please even the most discerning touring enthusiasts in the Los Angeles and Inland Empire, CA area. 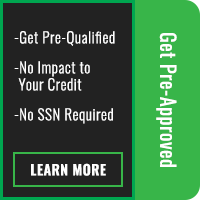 Visit us to check it out! 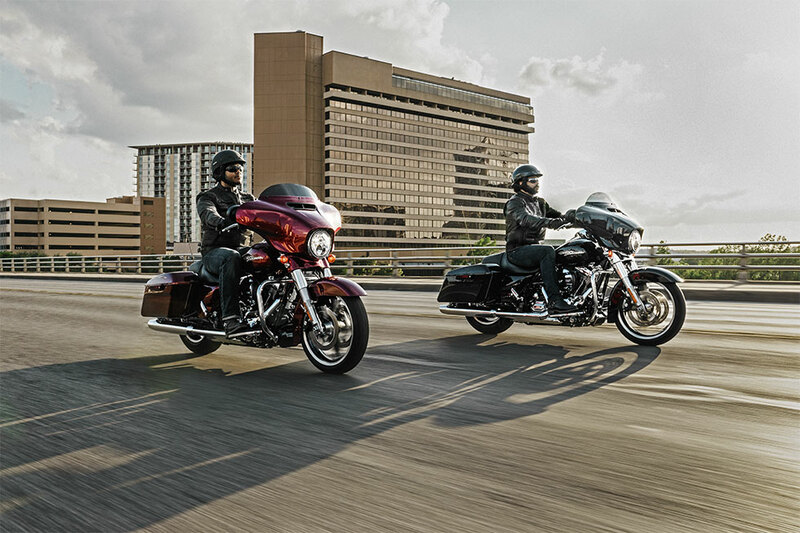 The Street Glide® is designed to make the longest rides easier than ever thanks to smart design and innovative features. 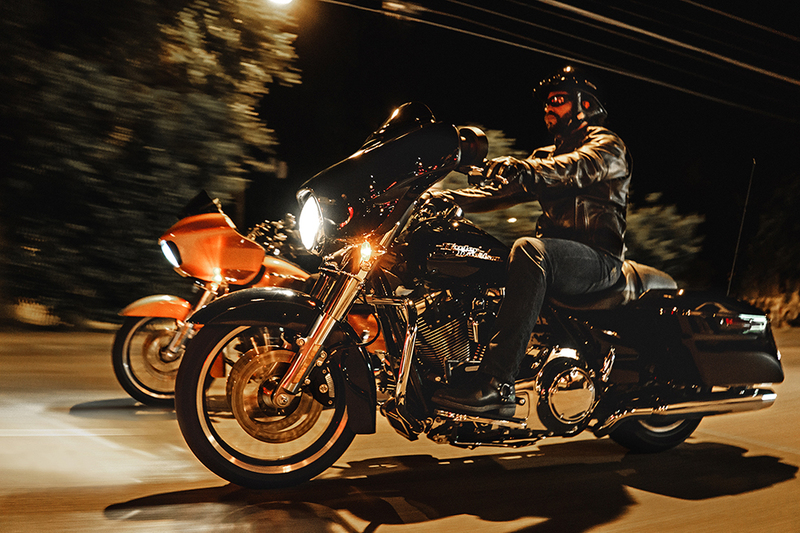 High Output Twin Cam 103™ Engine: When it comes to power and performance, the Street Glide® cranks out plenty of muscle thanks to this modern V-Twin engine. 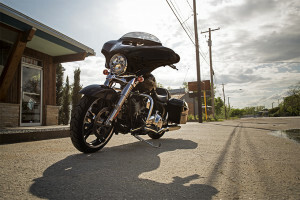 H-D® Smart Security System (Optional): If you want more peace of mind when you’re away from your bike, then consider upgrading to this smart feature. It’ll automatically protect your ride when you leave it. 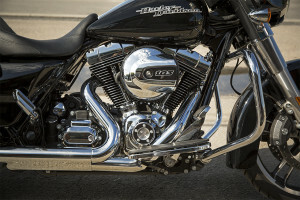 Twin Cam 103™ Engine Heritage: There have been plenty of hits in the history of the Harley-Davidson® V-Twin, including the Panhead, Shovelhead, and Flathead. The Twin Cam is the latest continuation of this well respected line. 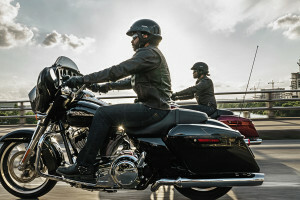 Twin Cam 103™ Engine Innovation: With smart features like electronic fuel injection and lightweight alloy components, this big V-Twin delivers more power and efficiency than ever before. 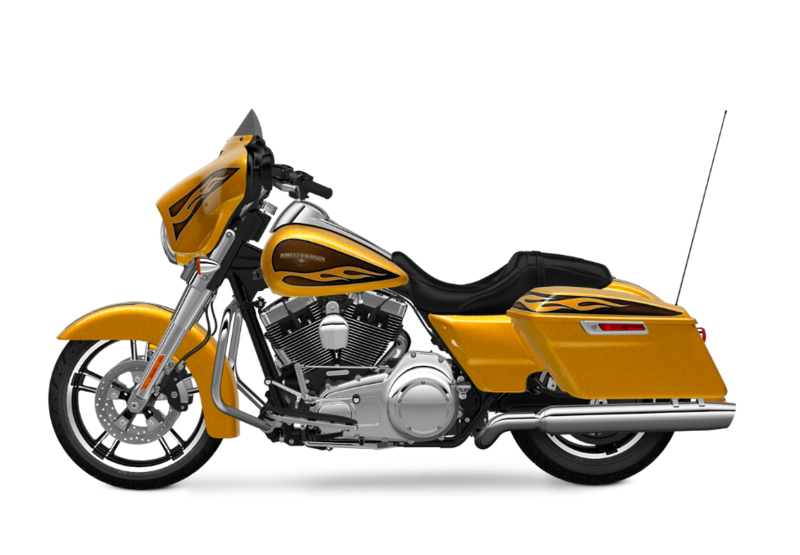 Air-Adjustable Suspension: It’s easy to adjust the air suspension system in order to meet your changing needs from ride to ride. Reflex™ Linked Brakes with Anti-lock Braking System (Optional): Choose to upgrade your brake system and you’ll receive more stopping power thanks to anti-lock brakes and a linked braking system. Dual Halogen Headlight: At 986 lumens, the dual halogen headlight produces plenty of brightness to illuminate even the darkest roads. Steering Head and Front Forks: The bigger 49mm front fork legs deliver confidence inspiring handling thanks to an 18 percent increase in fork diameter. Carefully tuned damping ensures that the ride is still smooth. Ergonomically designed hand controls: Your hands will rest naturally on the hand controls. 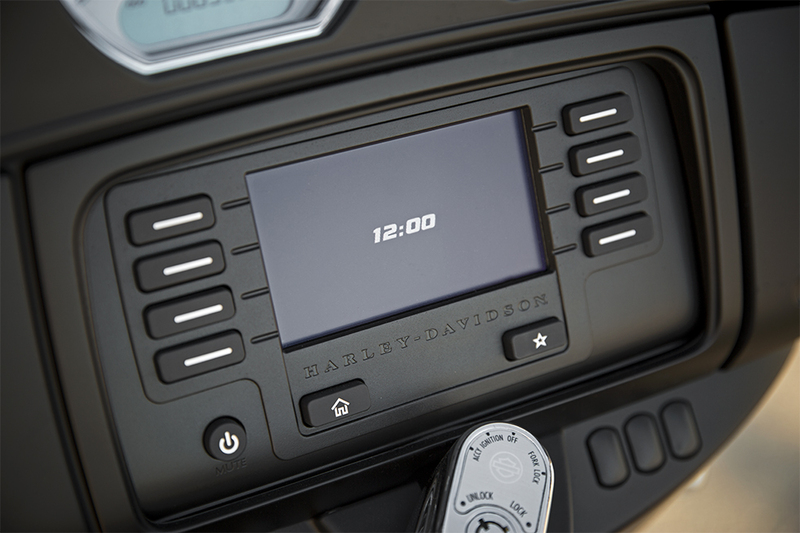 These smart, ergonomically designed controls include everything you need right where you need it. Brembo® Brakes: High performance Brembo® brakes help you slow down quickly even when the road conditions aren’t perfect. Six-Speed Cruise Drive® Transmission: This smooth shifting transmission delivers easy shifting and lets you quickly slip into the tall top gear for quiet, low rpm highway cruising. Dunlop® Multi-Tread™ Tires: The Dunlop® Multi-Tread™ tires use different rubber compounds for the sides and middle, ensuring you get durability where you want it and added traction where you need it. 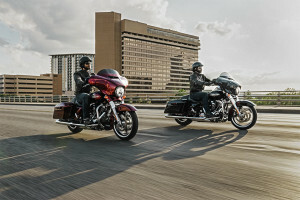 The Street Glide® is offered with all the latest technology and infotainment features. 5.25-inch Speakers: You’ve got a set of dual 5.25-inch speakers mounted securely up front to provide plenty of volume while you’re out on the road. 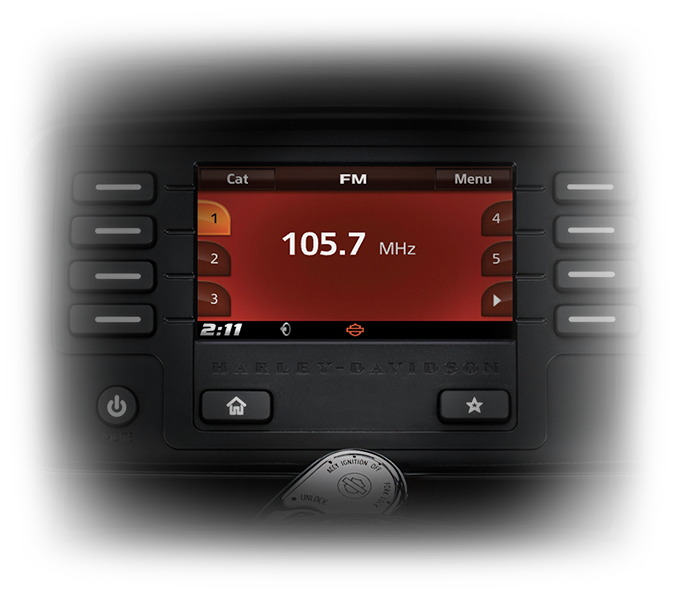 Ready For Your Upgrades: The Boom!™ Box 4.3 Radio is equipped with the features you want, but it still gives you the option to upgrade to bigger speakers. Jukebox with USB Port for iPod/iPhone: The Jukebox opens with a touch of a button, and it includes a USB connection that lets you charge your devices and stream audio. 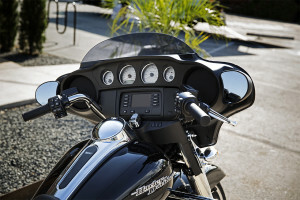 Larger Buttons for Easier Operations: This infotainment system comes designed around motorcycle use. That’s why it’s outfitted with big, glove friendly buttons. 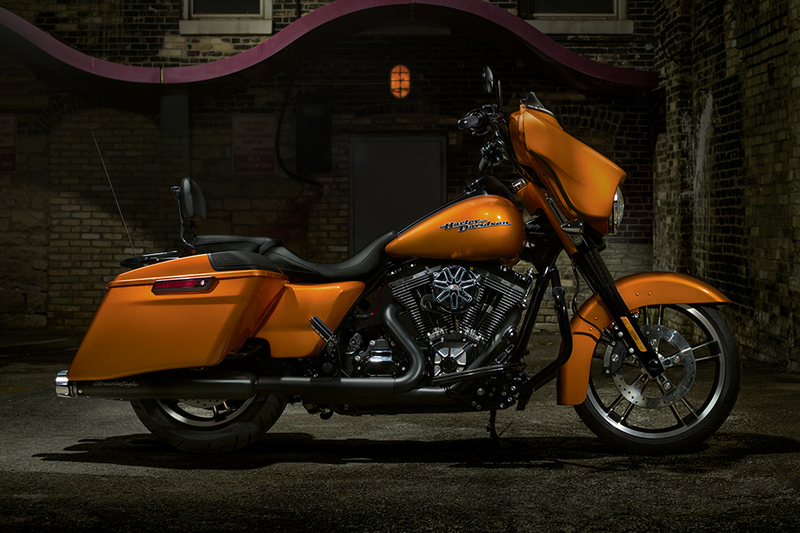 The Street Glide® delivers a premium custom feel unlike other touring bikes on the road. Project RUSHMORE: Comfort comes first for riders that plan to log long miles. 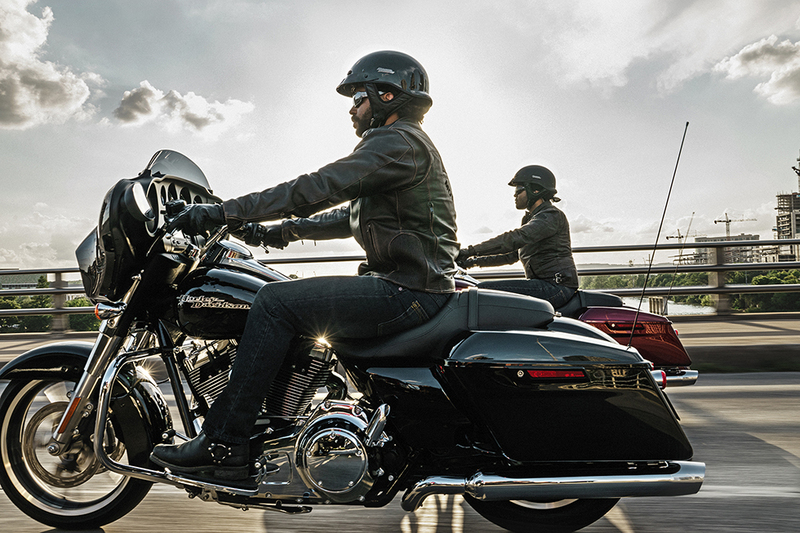 Luckily, the Street Glide® delivers all the features you need to make touring a breeze. Wide Set Handlebar: These wide set handlebars put you in the ideal position to take control of your ride. They also keep you comfortable mile after mile. Fairing Design: Designed around reducing head buffeting and protecting you from flying debris, this smart, aerodynamic fairing slices through the wind with ease. Two-Up Seating: You’ll love the sculpted seat with a deep contoured bucket, and the narrow neck provides increased rider comfort. Premium leather and stitching offer that custom style. Standard Cruise Control: You can take on the longest stretches of open highway with this standard cruise control system. 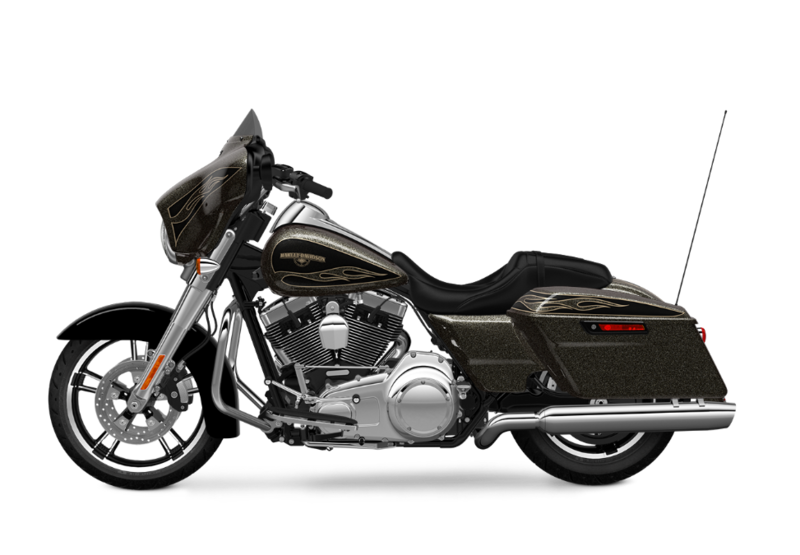 Full-Length Footboards & Toe/Heel Gear Shifts: Full length footboards and rubber isolation help you find a comfortable riding position all while reducing vibration. High Output Accessory Connector: It’s easy to plug in add-ons to your bike. 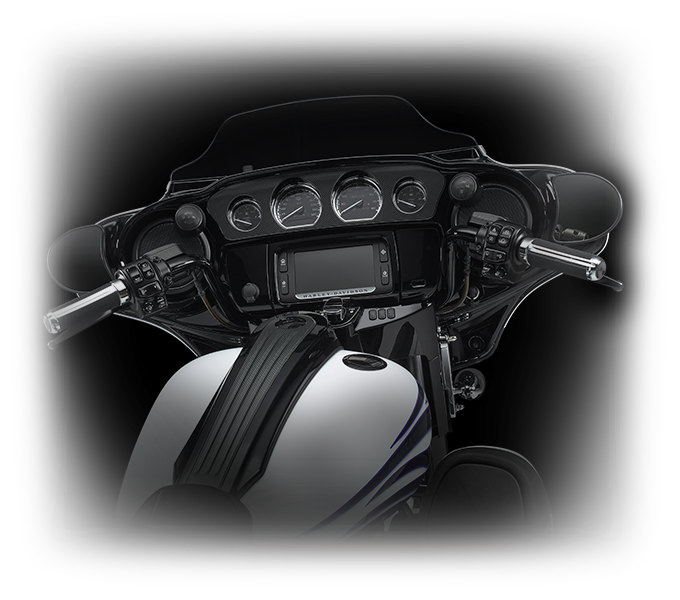 A heated vest, heated seat, and heated grips can be connected to this standard high output accessory connector. One Touch Fuel Door: It’s easy to access the fuel door. All it takes is a single touch. Battery Charging Harness: You’d want to add a battery charging harness if it didn’t already come standard. One-Touch Design Philosophy: With the Street Glide®, you’ll find that almost everything can be accomplished with a single touch. 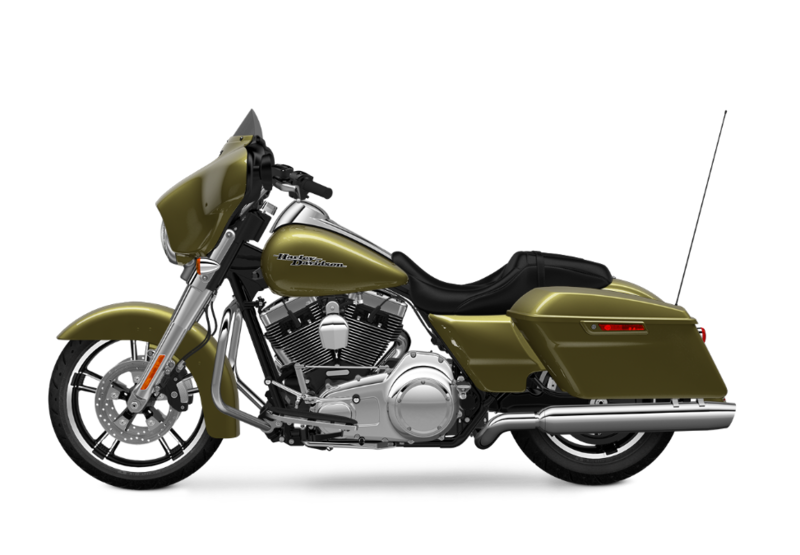 That includes opening the saddlebags and the fuel fill door. Saddlebag Design: These sleek, hardshell saddlebags deliver all the space you’ll want for your gear. For added security, they provide a smart locking mechanism that’s located on the handle rather than the shell, meaning you’ll never accidentally scratch up the paint. The Street Glide® is designed to provide high style to accompany the comfort and control features. 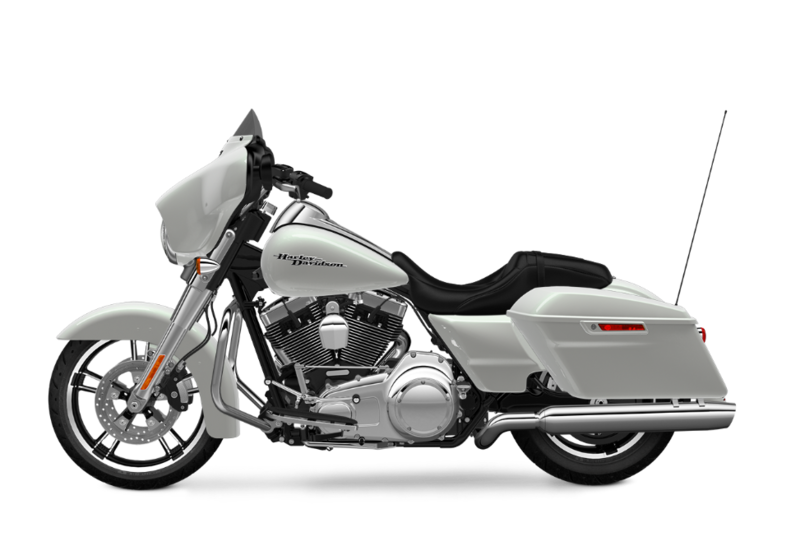 Project RUSHMORE – Styling: Harley-Davidson® has dedicated thousands of hours of development and testing to produce a bike that looks as good as it performs. Custom Rear Taillight and Fascia: Out back, you’ll find a distinctive rear taillight and fascia that complements the clean, sleek style and provides plenty of illumination. Fairing, Saddlebag, and Front Fender Styling: This is the iconic touring bike shape. 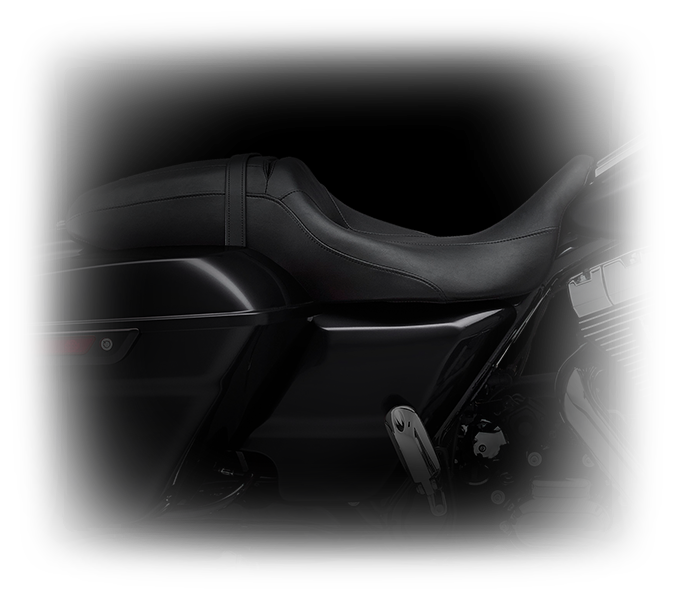 The batwing fairing and hardshell panniers combine to form an unmistakable profile that’s as functional as it is good looking. Enforcer™ Wheels: Front and back you’ll find distinctive Enforcer™ wheels with machined and black painted finishes. They’re light, they look good, and they get the job done. Tank And Fender Badges: These big, bold badges stand out on the tank and fenders. Nobody will waste time by asking what you’re riding. Airbox with Tank Panel Matching Insert: This big, classic airbox provides a unique look on the side of the engine thanks to its tank panel matching insert.